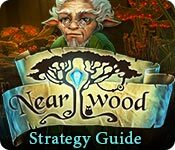 Nearwood Strategy Guide is rated 4.5 out of 5 by 2. Rated 5 out of 5 by WEKirkland from Very entertaining If you like the legend of Zelda, you must play this one.. Wish it was longer. Rated 4 out of 5 by JustTheFacts from So Very Pretty And Light-Hearted Fun! BASED ON DEMO FIRST IMPRESSIONS This game is pretty rather than beautiful. From the opening seconds it is filled with wonder. The intro to the game has us flying low over a river in a canyon, swooping over the falls and down towards the water. I almost felt the vertigo. The music is light and serene, and everything about this game seems designed to relieve stress, rather than agitate us, as so many of our favourite games do. There are plenty of beautiful flowers, babbling brooks, cute critters, and magic in the air, so some of you may find this a bit too sweet. WHAT’S HAPPENING We’ve just come into our inheritance, a family home we have not seen in years. Not since our mother died when we were just a child. Not since our father disappeared without a trace. It seems that secrets were being kept from us, all our life, for our own protection of course, but now we must face our destiny. Going back to the family home, we come upon a weird elf-like guy, and he tells us that we are the only one who can save Nearwood, a world we’ve never heard of, but which may reveal the secrets of our childhood. All we have to do is step through that mirror... MAKING PROGRESS There are more puzzles than HOs in this one. But the game really is adventure-based. 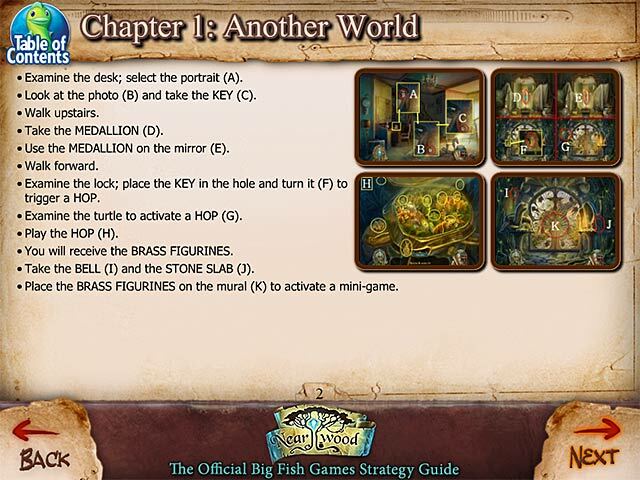 The puzzles are fairly familiar, and the HOs are simple FROGs – fragmented object games. These are clear and detailed and the pieces are not too small to find, but this is still not my favourite style. 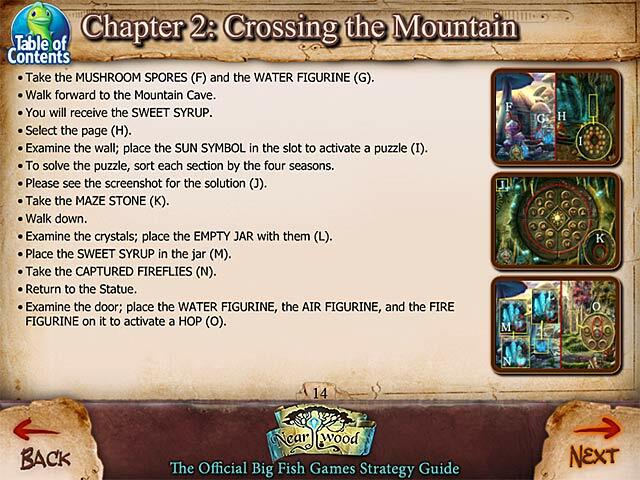 The adventure tasks are not too difficult, but there have been some complaints about the map. 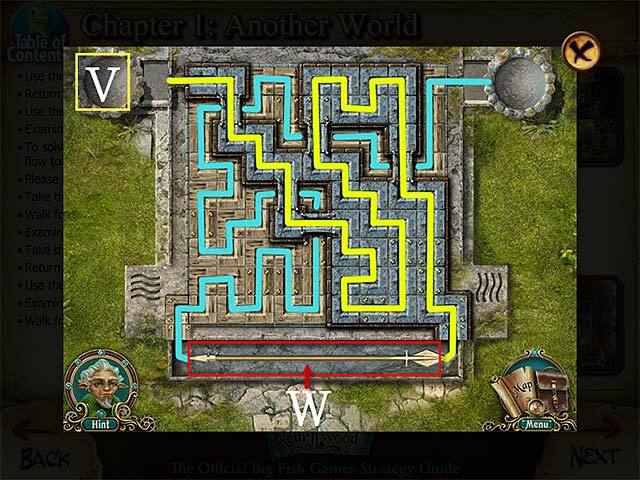 It is an interactive and transporter map, but the transporter function must be recharged, like a hint. Seems fair to me, because that’s its role in this game. There is no hint outside the HOs. Hints also need to recharge, but you can capture glow bugs everywhere that will recharge it for you. BLING! Should you go for the CE? I didn’t. There are the usual extras and a bunch of admittedly adorable snoop-sees (funny animated little critters which all look different) as collectibles, but it wasn’t enough to sway me. FAMOUS LAST WORDS This game really is “cute” in overdrive, so it’s not going to be for everyone. And I don’t think it’s worth the cost of the CE, but as an SE, even better, a punchcard coupon, it’s a nice treat and very relaxing.